The first original iPhone was released in 2007. To be exact the release date was June 29 2007. Since 2007 Apple has released 18 different iPhone models. The replacement for the iPhone X is actually three different models, the iPhone XR, XS, XS Max. Today pre-orders begin and the official release date is next Friday, September 21st. The iPhone XS doesn’t have an official release date yet. The iPhone XS Max will be released Friday 21st September. Customer choice of iPhone will vary from person to person however, so far the iPhone XR is the most popular of choices. 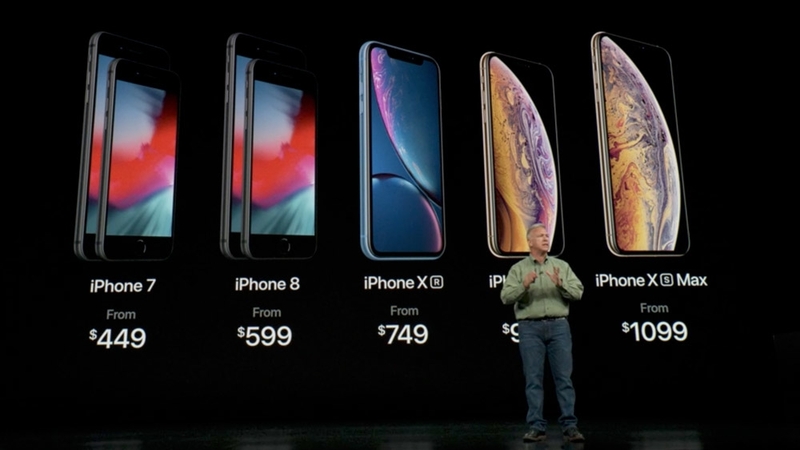 The iPhone XS is the most expensive start price of the three models starting at $1,099. iPhone XS at $999 and $749 for a 64GB iPhone XR. The iPhone XR memory space ranges from 64GB to 256GB. The XS and XS Max has an option of 512GB storage space, however the price starts at $1,349. In addition to the release of the new models, Apple announced that they will be reducing the price of the iPhone 7 and iPhone 8. You can now buy these models at a lower price starting at $449. The original price started at $649 for the iPhone 7 and iPhone 8 $599. The new iPhone models don’t have anything that outstanding in terms of innovation and from the research I have done the most notable new feature is the IP68 water resistance upgrade. This new feature can resist seven feet of water for as long as 30 minutes. That’s twice the depth that the IP67 rating allows. This is very useful for those who use their phone near water.